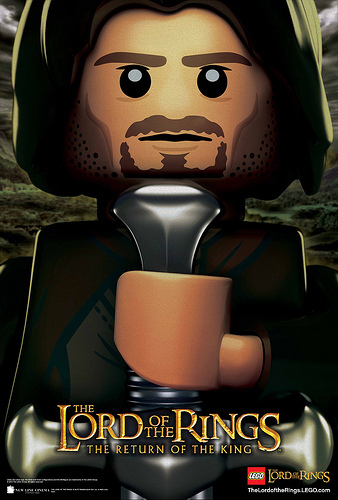 Ever since the announcement of LEGO Lord of the Rings and Hobbits sets in December, LEGO has been teasing us with posters of the minifigs. Aragorn wields Anduril in his promo shot. 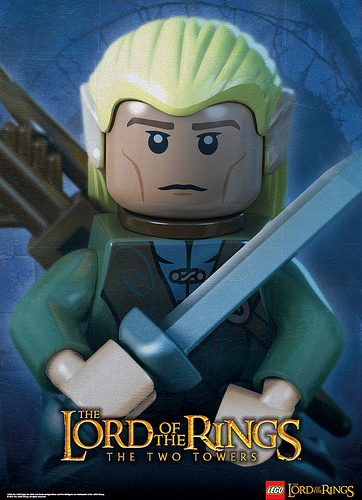 Legolas looks like he has a new Elvish hairpiece. Did anyone notice Legolas’s bow? Maybe a way to attach bows on his back?